I turn 21 soon, but I'm looking forward to my upcoming birthday for reasons other than most people approaching this age. I will serve as a missionary for The Church of Jesus Christ of Latter-day Saints. I started the application process in October and received a letter from The First Presidency on January 21, calling me to serve in the Hawaii Honolulu Mission. 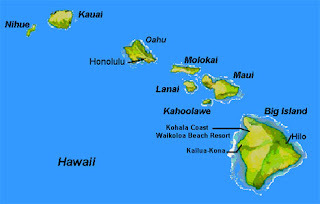 I will have the opportunity to share this gospel with others and to work in the Hawaii Temple Visitors' Center. I'm very much looking forward to dedicating 18 months of my life to my Father in Heaven who has truly made my life worth living. I'll enter the Missionary Training Center on March 25 and I can't wait! I'm only supposed to use email to talk to immediate family members, but I want to keep in touch with everyone else too...so I created this blog. I'm hoping my sister can post some of my letters and pictures :) There's always snail mail too!! 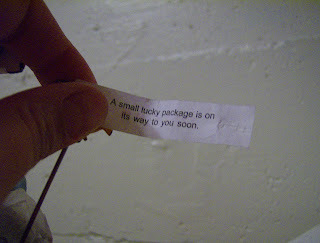 I got this in a fortune cookie exactly one week before I received my call in the mail!